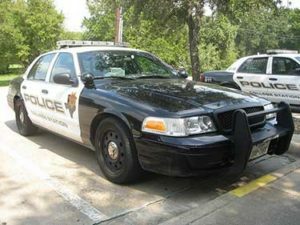 The College Station Police Department has multiple options to obtain a copy of a car accident report. A car accident report from the College Station Police Department can be an important piece of evidence when filing a claim for sustained injuries after a car accident. In addition, you can receive a copy of the car accident report either in-person, by mail, or online. To pick-up a copy of the accident report you will need to fill out the College Station Police Department Crash Report Request Form. Next, head to the College Station Police Department located at 2611 Texas Avenue South, College Station, TX 77840 (get directions). Also, you will need to pay $6 to receive a copy of the car accident report. Just provide the details of your accident, and we’ll do our best to track down your College station car accident report and email it to you. In addition, you must include a check of $6 made payable to City of College Station. Important note: if requesting a copy of the College Station accident report by mail, payment is by check only. Sending cash through the mail is never recommended. The College Station Police Department works with PoliceReports.US to provide residents with the convenience of finding their car accident report online. Simply, visit the LexisNexis portal here. Additionally, car accident reports usually take up to 1-2 business days before they are available. College Station car accident reports cost $6, if using the LexisNexis Portal. **Car accident reports are kept in the LexisNexis database for a maximum of 3 years from the date of the incident. Any car accident reports before 5/1/2011 must be picked-up at the CSPD Records Division.